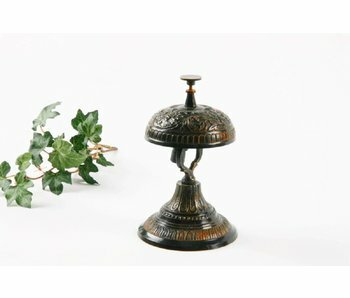 Collection overview of classic tableware and deskware. 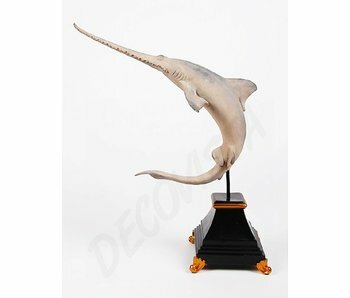 A fine quality decorational home accessories. 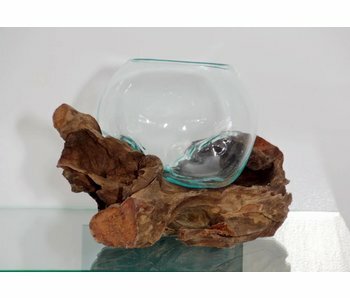 Unique bowl of recycled glass, draped and cooled over a teak wooden stump for a perfect fit. 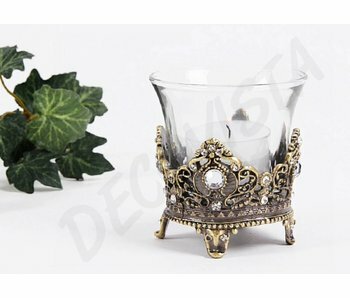 Ideal for an exclusive small flowerarrangement or candle on decorative ornamentel stones. Classic sugar bowl, milk jug and dish. The size of the dish is 20 x 14 cm. Height of the jugs about 11 cm. Beautiful chic coffee table set that stays beautiful without brushing. Luxury butter jar with ribbed cover. 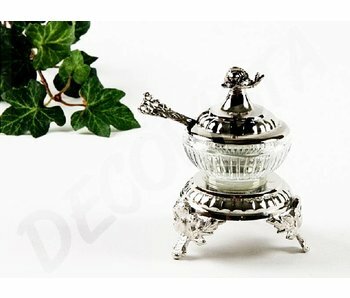 This beautiful classic jar is nickel-plated and never needs to be polished. Height 11 cm x 14 x 14 cm. 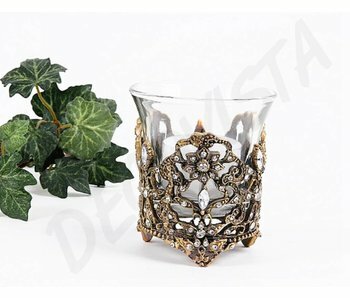 The glass insert has a diameter of 7 cm. Ideal for herb butter, butter or garlic butter. 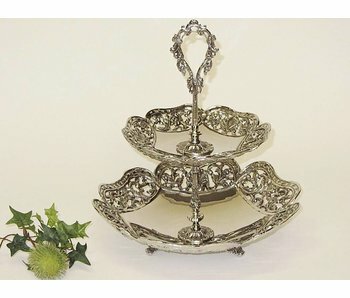 Luxury fruit plateau in baroque style. 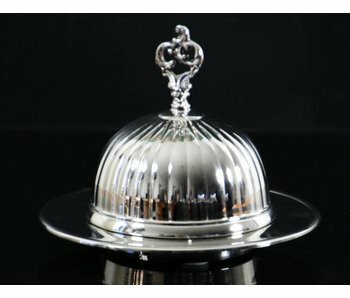 Material: nickel-plated. 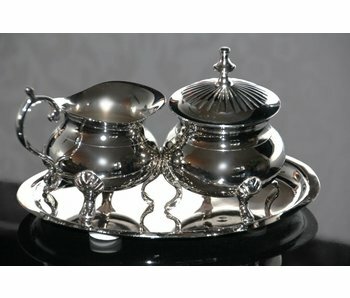 Nickel has the warm look of silver but without the need for polishing. Total height 40 cm. Diamater plates: 21 and 30 cm. 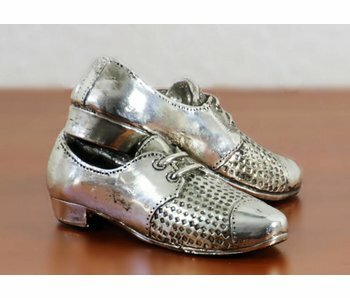 A pair of silver colored shoes. Size 12 x 10.5 x 7 cm. Material: nickel. This material don't has to be polished. 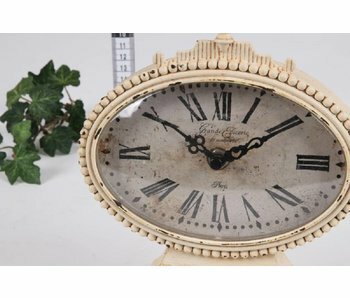 Chic, classic worked scale on foot. 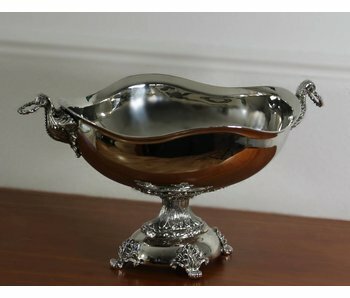 The bowl is nickel-plated and the appearance of silver is preserved without brushing. High Quality. Dimensions HxWxD: 26 x 40 x 28 cm. 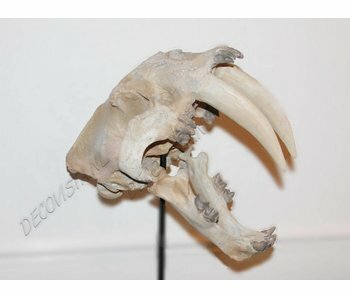 Skull of the extinct saber-toothed tiger (on black feet). The very real looking skull is made of resin. Dimensions: height 49 cm x 33 x 21 cm. 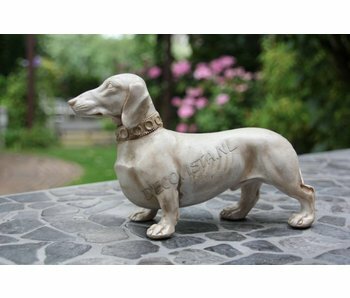 Well proportioned dachshund in a cream color. Length 40 cm. Made of resin. 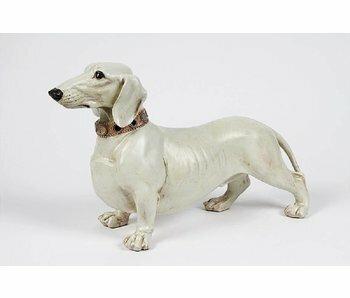 Well proportioned dachshund in a cream color. Length 23 cm. Made of resin. 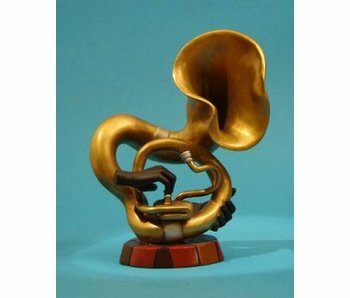 Tuba -musical instrument figurine For the music lovers. 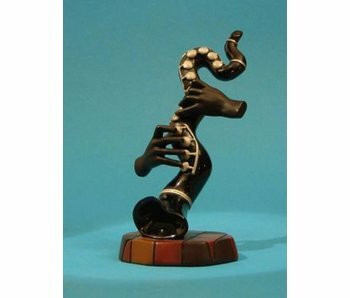 This figurine is part of the Jazz Hands serie of Floating Hands. Made of polyresin. Height 16 cm. For the music lover and musician: part of the Jazz Hands serie of Floating Hands. Made of polyresin. Height 16 cm. 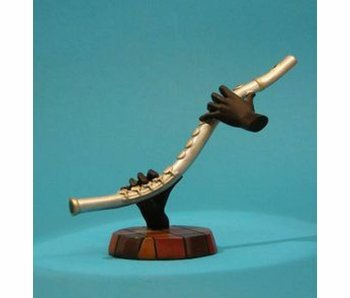 Flute - For the music lover and musician: part of the Jazz Hands serie of Floating Hands. Made of polyresin. Height 16 cm. Tyrrannosaurus Rex dinosaur skeleton floating above a black pedestal. For lovers this is a wonderful eye-catcher for a very attractive price. 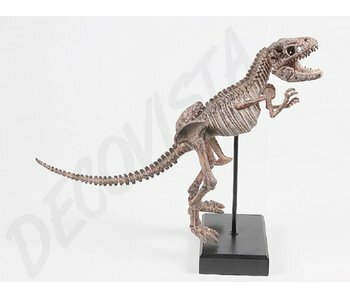 The legs and tail need to be attached to the skeleton. This is very simple. 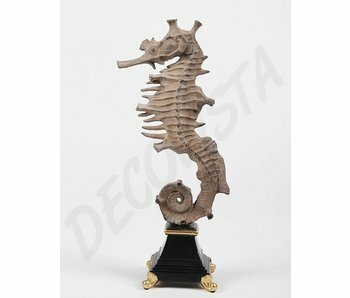 Creation from artificial stone: Seahorse, enlarged and with a petrified appearance, on black baroque pedestal. Very special. 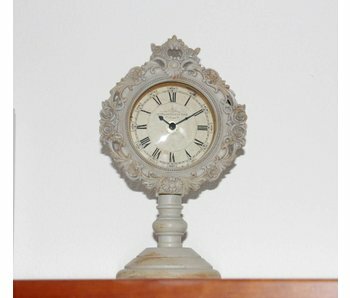 Size: height 48 cm, width 17 cm, depth 12 cm. 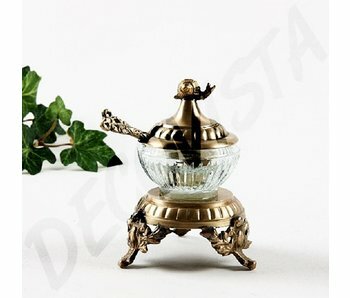 Small, classic spice jar with spoon for a stylish dinner decoration. 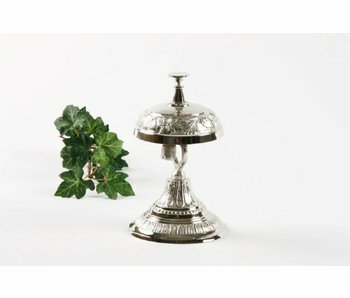 The pot is made of high quality nickel that stays beautiful without polishing. Height 8.5 cm x 6.5 cm wide. 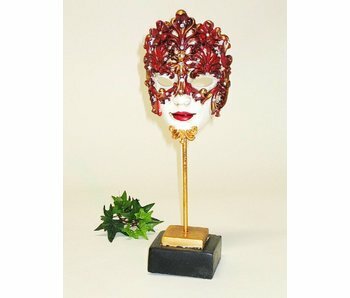 Classic Venetian mask, mounted on gold standard with black foot. Colors burgundy-red, ivory, black. Made from hand-painted resin. Height 36 cm.